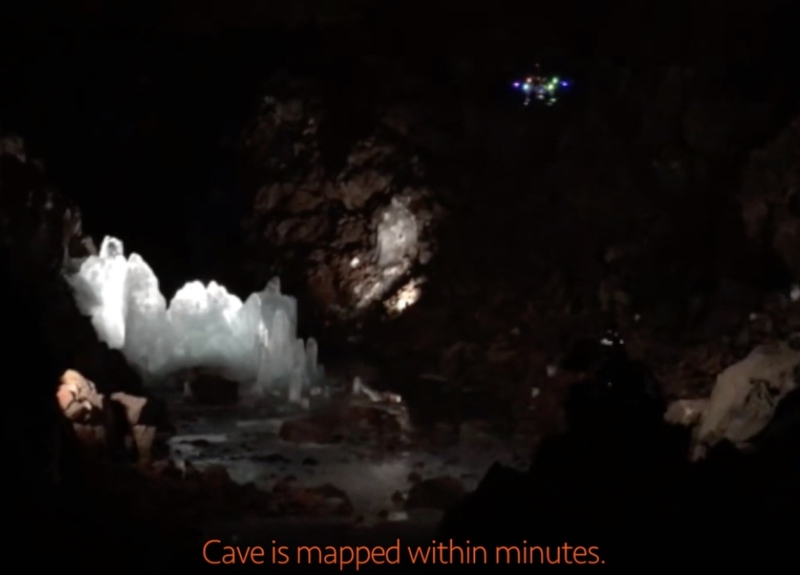 Drone Maps Icy Lava Tube in Iceland in Preparation for Cave Exploration on the Moon and Mars. The team was investigating the Lofthellir Lava Tube Ice Cave in the remote Myvatn region of Iceland, and used the drone to document the lava tube's shape and extent, history of rock falls, and spectacular ice formations. The field team that studied the Lofthellir lava tube ice cave is led by SETI Institute planetary scientist Pascal Lee. "We went to Iceland to study a lava tube with massive amounts of ice inside it to understand better both the potential hazards and opportunities presented by the many lava caves we hope to explore on the Moon and Mars," says Lee. "One promising way to explore them is with drones." 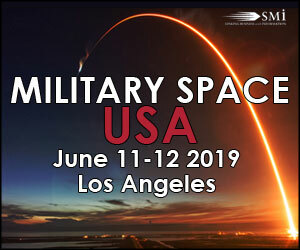 "Small free-flying spacecraft might be the ideal robotic platform for the exploration of lava tubes on Earth, the Moon, and Mars for the simple reason that they would not need to come in direct contact with any of the rough and potentially unstable surfaces found inside caves and lava tubes," says Andrew Horchler, Director of Future Missions and Technology at Astrobotic, the private space company developing the drone-based LiDAR mapping technology. "Nimble drones could enter, map, and exit caves quickly, returning from the darkness to send data back to Earth, return a sample to the surface, recharge and refuel." 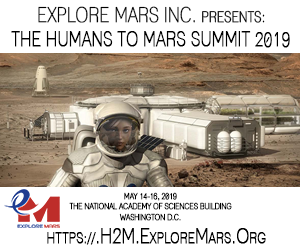 While a cave-exploring drone on Earth may use propellers, free-flying spacecraft exploring caves on the Moon, where there is practically no atmosphere, or in the thin air of high altitude lava tubes on Mars' giant volcanoes, would have to use small thrusters. The mission of the terrestrial drone deployed at the Lofthellir Ice Cave focused on validating the idea of using a drone-equipped LiDAR to safely navigate and accurately map rock and ice inside a dark lava tube in the absence of GPS or any prior map. "The Astrobotic drone and LiDAR performed exactly as we had hoped, and was able to help us map the Lofthellir Lava Tube in 3D within minutes" says Lee. "We now have a highly accurate model of the shape and dimensions of the cave, and of the configuration of its many rocky and icy features, such as rock falls, ice columns, and micro-glaciers." 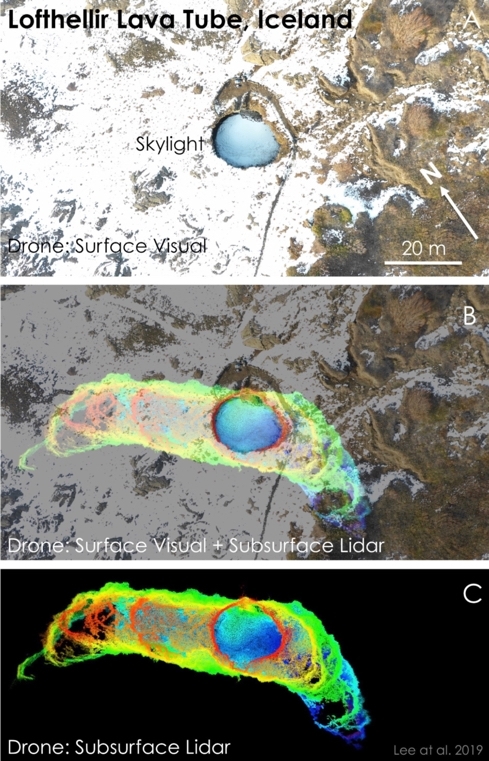 The mapping of an icy cave and lava tube on Earth using a drone-equipped LiDAR is a first. "More development work will be needed to create a system that's ready for the Moon or Mars, but the study of this icy lava tube is an important first step for us" says Horchler. Caves on the Moon and Mars are expected to be targets for future robotic and human missions. In this context, the Lofthellir Lava Tube Ice Cave might have an important role to play as it is located in the same area where, 50 years ago, Apollo astronauts received a significant part of their field geology training in preparation for their voyage to the Moon. 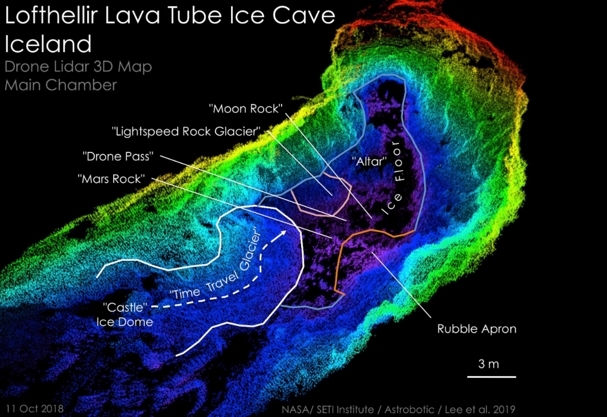 "Lofthellir lava tube was not known at the time, but as we prepare to return to the Moon and journey to Mars, a new generation of astronauts could return to this area for training," says Lee. "I would recommend adding Lofthellir to the curriculum." 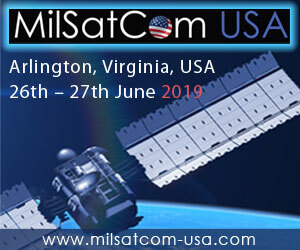 The team is presenting the results of their study at the upcoming 50th Lunar and Planetary Science Conference convening on 18-22 March, 2019, in Houston, TX, in a paper titled Lofthellir Lava Tube Ice Cave, Iceland: Subsurface micro-glaciers, rockfalls, drone LiDAR 3D-mapping, and implications for the exploration of ice-rich lava tubes on the Moon and Mars.